I was born in Africa under the hills of Mt. Kenya. When I was a kid, I used to write stupid stories and hide them. They were fun to write and they allowed me to create my own world with my own kind of heroes. My stories allowed a village boy like me to travel the world without leaving the comfort of my home. From my village in Africa to the Eiffel tower in Paris, from the Taj Mahal- the jewel of Muslim art in India to the statue of liberty in New York. In my stories, I would swim in the natural beaches of Africa, ride the Arabian horses in the desert, feel the wind on my face as I skied down the rocky hills of Denver and dodge the avalanches as I climbed to the peak of Mt. Everest. Deep in the African jungle where even the bravest are afraid to venture, lies a truth that will propel James through his improbable American journey, if he can come out alive. James a village boy in Africa receives a scholarship to go and study in America and he becomes the envy of the whole village. His girlfriend Janny is however skeptical of what a long distance relationship can do to love. But when Janny vanishes from the village, James and his dog Simba plunge into the belligerent forest at the risk of his life and his American dream. Love transcends all. A Whisper In The Jungle is a suspense story full of love, humor and adventure and mystery. “A Lion in America 1” by Robert Mwangi is about as near to my perfect book as you can get. An exotic location, insight into a different culture and life style, a coming of age story, a life with a view to future emigration and an insight into a country that is developing and growing to come into its own. This is the story of a Kenyan football player, beginning with his childhood in the wilderness outside of Nairobi in a tribal village. The dangers of life in the wild are only one part of this amazing set up. There are his dreams for the future, his first love, his friends and his heroic single mother. Tragedy in the forest and a possible way out through football. Village life and life in the capital Nairobi already are in sharp contrast with each other and I cannot begin to imagine how hard it must be to adjust to life abroad. I have travelled Africa and Kenya extensively but have never gone directly into the jungle off the beaten track and I would like to thank the author for taking me now. The book has adventure as well as interesting cultural highlights, yet the main voice of Robert is so likeable and he tells his story with so much compassion and honesty, it was hard to put the book down. The introduction to the first book tells us a little about the author behind the book and what his life in the US is like, but we will have to wait for the next few instalments before we get to hear about this part of his life. You are telling an amazing story, for westerners almost unimaginable in parts. Is it al reality and happened to you? I’m a free writer and every day I came home and typed on my computer. I did not know that I had written a book until after a year and that’s when I read through the whole thing and realized that I had subconsciously written the story of my generation. Did it all happen to me? No. But I realize that every part of the book came from somewhere inside me: people I had met, journeys I had taken, things taught to me by the elders. The Way you write makes it sound like fiction. Is that the intention to increase the impact or did you want to distance yourself from the story while writing? We all have God given talents. Some folks are great orators and others not so great. Fiction is how I tell the world what I need to say. You ask me to write non-fiction and you might as well shoot me in the head. Robert, are you telling your own story in these series of books. How many books will there be and when will they come out? When I was a kid, I used to read novels and think of Authors as very smart people. Now many years later, am not so sure. An Author, a teacher, an accountant… we are all the same, just different talents, that’s all. I look back at those childhood novels and I realize that all that the Authors did was tell their stories from the bottom of their hearts. And the people loved them for it. My second book will be coming out God willing by November and I will take a break from the series and work on a totally different angle of writing: The adventures of Angel Mikel. There’s a possibility of a third and final book in the series in the far future. Do you still have strong connections to Kenya? Could you ever go back there? My whole family lives in Kenya and yes, I will move back when the time is right. America is very beautiful and it’s a dream come true for a village boy like me to stand on top of the Empire State Building and gaze down at one of the greatest Cities in the World. But ultimately, we have a responsibility to our homes and that which made us what we are. I found your writing to be very strong. Did you write before? When I was 16 years old, I wrote fifty pages of fiction: a novel that still makes me cringe when I read through it. I used to have those impulsive moments where you get inspired and write. And after you write, you feel like a weight has been lifted off your shoulders. I still get that rush. How long did it take to write and edit the book? It took a year to write the book and another year to edit. I had been living in America for eight years at this time and I felt like I was out of touch with Africa. So I went to the library and tried to figure out what other African writers were writing about and that’s when the editing began. Some of the things I had written about were too close to home and I had to discard a lot of well-written chapters. What’s the experience like for you so far – highlights and low points? At first, it’s an amazing feeling… I mean writing. And then you make the big mistake of publishing and suddenly, you open yourself to the whole world. That thing which meant so much to you: that thing which used to wake you up in the middle of the night and make you dash for the computer just so that you can type one more word, one more sentence … and suddenly, its not yours any more. And then you start getting the reviews and the first person really loves your book, and the second person calls it a load of crap. Your emotions are jerked in different directions and it tears at your heart. But when all is said and done, you find yourself in front of the computer… typing… for it’s the one thing that makes you happy. And nobody can take that away from you. Nobody. It would probably be a book that I read as a teenager because back then our minds were pure and uncorrupted by the realities of life. And we believed and soaked in every word from a book. We wanted to be those heroes… the world was ours to conquer. So yes, it would either be Remembrance by Danielle Steel or The Present Darkness by Frank Perretti. Hands down. A German Shepherd Dog. I’m not big on meeting celebrities. But if I was to chose, it would be Ngugi wa Thiongo the most famous Author in my country. Just to say thank for setting the stage for us and telling us his childhood stories. See, that’s what books do. They are more important to the next generation than to us. Can you imagine all those books we read as children? What if those writers hadn’t written them? What if Shakespeare hadn’t written or Leonardo Da Vinci hadn’t painted? So I do think it’s symbolic to shake hands and say thank you. If you have a dream, go for it, period. Others who have tried and failed will try and discourage you. Don’t listen to them. What an AMAZING story! I love this interview . It is so uplifting and entices one to dream. Great questions Christoph and Robert is fascinating. Thanks, it has been a great experience for me, Both. reading the book and meeting the atuhor. Reviews don’t get much better than this. The book sounds terrific. Thank you for featuring this author and book. if you weren’t a writer, you would be a book-detective (if such a job existed). 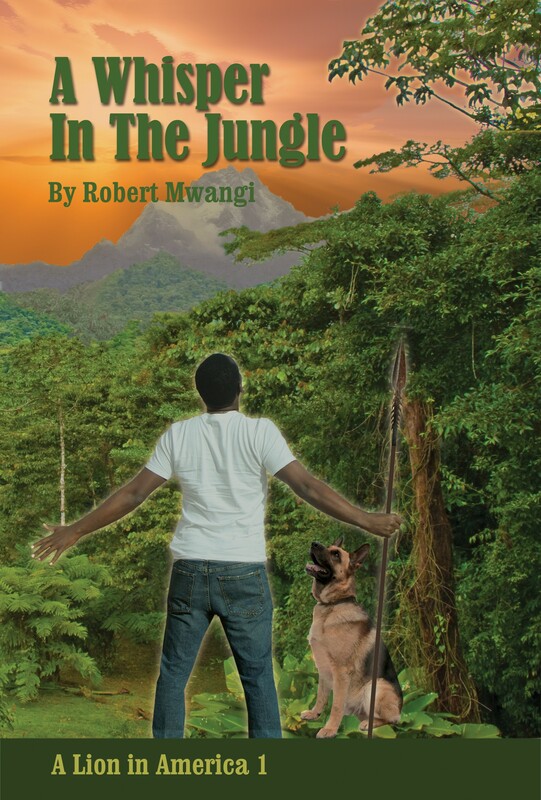 The list of fantastic authors you bring to our attention here is amazing…Thanks for featuring Robert Mwangi’s book; I have always loved exotic settings. Hopefully, we will hear (and read) more about this young author. I would almost love to switch to a detective job if my findings were always so rewarding. I hope we hear more from Robert Mwangi, too. This sounds very interesting…thanks for publicizing it. 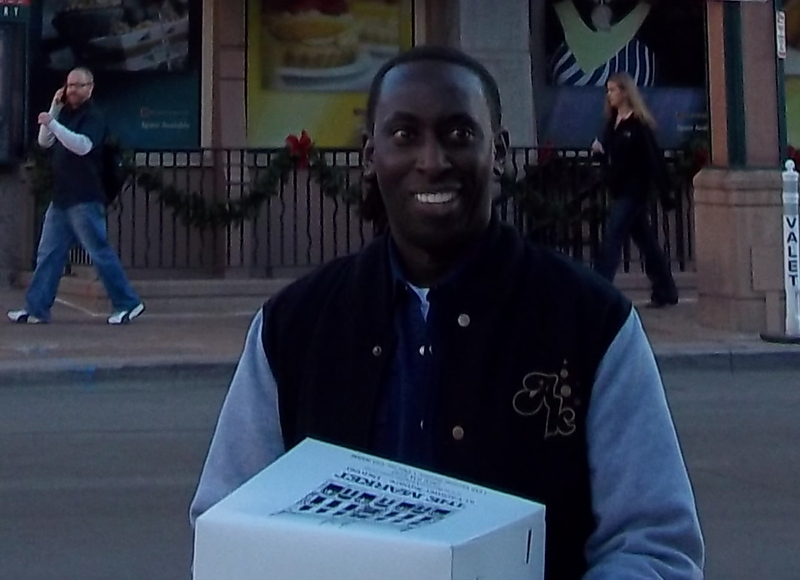 Thanks for visiting and commenting John. It truly is interesting.